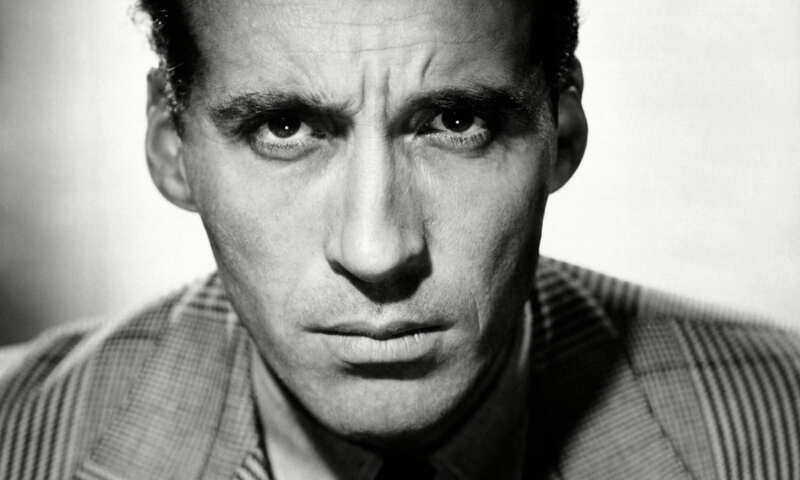 Christopher Lee, just a mention of the name conjures up images of Dracula, The Mummy, and the Creature, this is how I was introduced to this splendid actor, through his many incarnations for Hammer Studios. He, along with his good friend and counterpart in many of these films, Peter Cushing, helped to revive a sagging interest in the horror genre. I can’t tell you the first film I saw Christopher Lee in, but his impact has been felt for years, with this viewer. 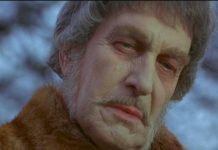 I’ve watched him grace the screen as the evil Dracula, the heroric Duc de Richleau, the lumbering Creature and the mesmerizing Lord Summerisle and each performance demonstrates how versatile this actor really is. Never was his commanding presence demonstrated more than in the 1966 film, “Dracula-Prince of Darkness“, in this film, Lee didn’t have one line of dialogue! Less than pleased with the dialogue written for him in this film, he chose to remain silent and only Christopher Lee could hold an audience captive throughout a film without uttering a single word. Personally, my favorite films which star Lee are from Hammer Studios, but not all, one exception would be his role of Lord Summerisle in the 1973 film, The Wicker Man”. Lee is simply brilliant in this film, going from a polite gentleman to a frightening madman. I may not enjoy all the films I’ve seen Christopher Lee in, but his performance is always superb and well done. Christopher Lee has given so much to the world of horror films, he is simply put…..a living legend. I consider myself lucky to have had the opportunity to be influenced by his work and to see his many incarnations, I only hope that his legacy can be appreciated by future generations. Christopher Frank Carandini Lee was born in Belgravia, London, on 27 May 1922. (Lee’s mother’s family, the Carandinis, are one of the oldest in Italy.) Following the divorce of his parents in 1928, life became difficult his mother remarried, only to face further difficulties when her second husband became bankrupt. “He was drunk. every night and lost every penny,” Lee recalls. His mother divorced his stepfather, with far-reaching consequences: “The money went totally. My mother was left at the age of fifty with two teenage children and nothing.” Keep reading to know more about Christopher Lee Bio. Lee was forced to abandon a promising academic career, leaving Wellington College in 1939, a year before he was due to complete his studies. He took several mundane jobs to help support his struggling family, before joining the RAF in 1941. The remainder of his war was dominated by intelligence work, for which he was mentioned in dispatches. He returned to civilian life in 1946 and, ignoring his mother’s advice to avoid the acting profession (“Think of all the appalling people you will meet!”), secured a seven-year contract with Rank. Notable among his earliest films was a gatecrashed role as an extra in Olivier’s Hamlet and a brief scene in John Huston’s Moulin Rouge. Although Peter Cushing also appeared in both films, he didn’t share a scene with Lee in either. The early fifties proved difficult for Lee after the Rank charm school ‘let him go’: “They would send me, and others, to see some of their contract directors and producers. They would say, ‘Well, nobody’s ever heard of you, you’ve got no experience- you’re too tall, you’re too foreign-looking Lee found acting work wherever he could, at one point subsidizing his income with a stint as an interpreter in the export department of Simpson’s in Piccadilly. The years of experience eventually paid off: “Between 1947 and 1957, I had learned. And when the time came for me to play a role of consequence, I was ready.” Hammer’s “The Curse of Frankenstein” and ” Horror of Dracula” brought him leading parts and global recognition. They also established his personal and professional relationship With Peter Cushing – the two men became close friends and frequent co-stars in subsequent films by Hammer and their contemporaries. The man Hammer press releases described as “London’s most eligible film bachelor” married Dutch model Birgit Kroencke on 17 March 1961 and the couple spent part of their honeymoon as guests of James Carreras and his wife, Vera. Mr. and Mrs. Lee emigrated to Vaud in Switzerland in 1962, Christopher taking the opportunity to expand his career and escape Britain’s punishing taxation. Their only child, Christina, was born 23 November 1963. The Lees returned to England in 1965, Christopher’s busy career still characterized by the variable quality of the films he was offered. He allowed James Carreras to persuade him into reprising his most famous role again and again, and his initial enthusiasm for Dracula soon turned to resentment. Away from the vampire Count he made memorable contributions to other Hammer films, most notably “The Devil Rides Out” and “To the Devil a Daughter”, while successfully expanding his appeal in major league films such as “The Private Life of Sherlock Holmes” and “The Man With the Golden Gun”. During the early seventies he formed his own production company, Charlemagne, with Hammer producer Anthony Nelson Keys and made “Nothing But the Night” for Rank. 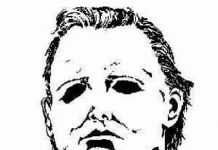 “The Wicker Man”, while similarly modest, brought him lasting acclaim for his portrayal of the sinister lord of a Scottish island held in the grip of brutal pagan beliefs. The film is regarded by many, including Lee, as his best. Keen to escape narrow-minded casting directors for good, Lee took his family to California in 1976. “I guested on Saturday Night Live, I made “1941” for Steven Spielberg, I appeared in Westerns, martial arts movies… My whole career changed, which is why, when people ask me ‘Don’t you ever feel worried about being typecasted always reply ‘I’m not’. And the evidence is on the screen.” Feeling he had “proved a point”, Lee returned to London in 1986. Lee now feels confident enough to dabble in the horror genre in films like “Funny Man”, while affectionately parodying his old image in “Gremlins 2″, directed by admirer Joe Dante. When given quality material, as he was in ‘A Feast at Midnight”, it is clear why his career as a film star has enjoyed such longevity. The death of Peter Cushing in 1994 affected Lee deeply: “Without that voice on the telephone I do feel very lonely, very lonely real friendship is rare. “The last king of horror, a mantle Christopher Lee has reluctantly inherited, continues adding to one of the lengthiest CVs in cinema history. “I don’t really know, after all these films, if I have reached my full potential, ” he reveals. “Really, to this day I don’t know if I have been stretched. ” and is currently working with George Lucas on Star Wars: Episode II (Summer 2002) and Peter Jackson on the Lord of the Ring Trilogy (December 2001).